In anthropology as much as in popular imagination, kings are figures of fascination and intrigue, heroes or tyrants in ways presidents and prime ministers can never be. 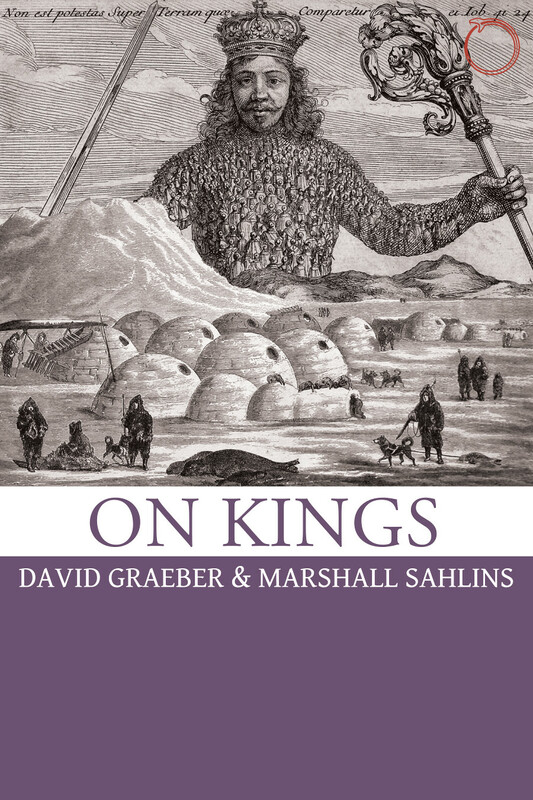 This collection of essays by two of the world’s most distinguished anthropologists—David Graeber and Marshall Sahlins—explores what kingship actually is, historically and anthropologically. As they show, kings are symbols for more than just sovereignty: indeed, the study of kingship offers a unique window into fundamental dilemmas concerning the very nature of power, meaning, and the human condition. Reflecting on issues such as temporality, alterity, and utopia—not to mention the divine, the strange, the numinous, and the bestial—Graeber and Sahlins explore the role of kings as they have existed around the world, from the BaKongo to the Aztec to the Shilluk and beyond. Richly delivered with the wit and sharp analysis characteristic of Graeber and Sahlins, this book opens up new avenues for the anthropological study of this fascinating and ubiquitous political figure. If you deem that anthropology is neither a form of pompous navelgazing, nor an exercise in making preposterous generalizations out of sketchy personal experiences, this book is for you. With impeccable scholarship, conceptual imagination, and wit, David Graeber and Marshall Sahlins think anew, and within a broad comparative scope, an ancient and illustrious question: why and how can a single man come to rule over the many as the embodiment or the delegate of a god? Such a question, they show, can only be answered by shifting towards an analysis where human, non-human, and meta-human persons are treated on the same ontological level as parts of a hierarchical cosmic polity. A golden spike in the coffin of eurocentrism, sociocentrism and anthropocentrism! The wealth and volume of the ethnographic data analyzed in this book is dizzying. The authors allow us to venture along a variety of paths, ranging from the well-established kingdoms of Africa and Asia to the apparently egalitarian societies of Papua New Guinea and the Americas, revealing the astonishing dispersal of the “stranger king” model. The authors’ decisive step was to reject, on a strictly ethnographic basis, the commonplace analytic division made between cosmology and politics. It is in the ritual sphere, where spirits of diverse kinds meet with humans, that the diverse forms of state originate. A relationship that shows spiritual life, even in societies marked by egalitarianism, to be a domain impregnated with the same relations of hierarchy, control and subjection that characterize the kingdoms of this world. A work that will make history for sure. Two of the world’s leading anthropologists combine their “complementary observations” to offer the most productively disruptive work on kingship since Hocart. The lost world they exhume is a continual affront to contemporary theory: a world where superstructure determines base and sociology recapitulates cosmology (kings are gods imitating men, not the reverse); where connection, competition, and imitation (of galactic hegemons, for example) are the reality and the monadic society a fiction. At the same time, their paleohistory of sovereignty points the way toward a deeper understanding of our contemporary moment, where sovereignty has become “popular” and we are ruled by kleptocrats and buffoon kings. Graeber and Sahlins’ On kings—a dialogue, not a union—takes Divine Kingship from its burial ground in the classics and puts it deep into enduring concerns about the brutality of political processes over the long haul of human history, ancient and current in ever new forms. In case studies of sovereign rulers conceived as gods, demons, nurslings, ancestral guests, and populist heroes—ultimate strangers—Graeber and Sahlins invite us to reconsider the nature of tyranny from inside the tiger’s many mouths and to ask how we might, for once, refuse the king his long customary seat at the table. Enjoying our open-access books? Consider donating!